MIDDLE EAST: The Qatar-based Al-Jazeera news outlet on Thursday vowed a legal fight against Israel if Prime Minister Benjamin Netanyahu pursued plans to shut its office in Jerusalem, and it also accused him of supporting a regional blockade of Qatar. Netanyahu said on Wednesday he would work to shut the network’s office, accusing it of inciting recent violence in Jerusalem. Jerusalem has seen one of its most tense periods in years as Palestinians protest heightened Israeli security measures near the Temple Mount-Noble Sanctuary compound, one of the city’s holiest sites. The events have been widely reported, including in hourly, live updates by Al-Jazeera. “Al-Jazeera stresses that it will take all necessary legal measures (if Israel) acts on its threat,” the network said in a statement issued in Doha. Al-Jazeera said Israel was aligning itself with four Arab states that have severed diplomatic and commercial ties with Qatar and have demanded the closure of the television network. They accuse Qatar of supporting terrorism, a charge it denies. 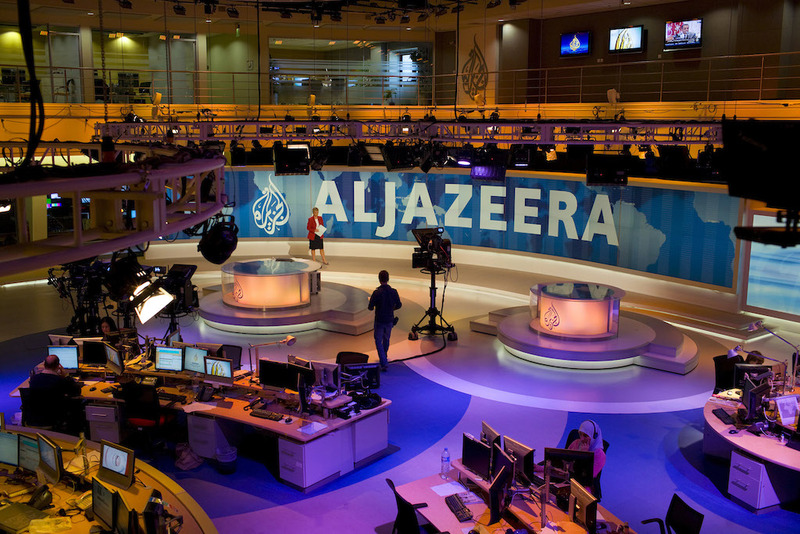 “While Al-Jazeera denounces (Netanyahu’s) arbitrary accusations and hostile statements, it finds (them to be) yet another episode of the ongoing vicious attack (demanding) the entire closure of the network by the countries imposing a blockade on Qatar,” the network said in its statement. The four Arab states - Saudi Arabia, the United Arab Emirates, Egypt and Bahrain - also want the tiny emirate to cut ties to Iran, their regional arch-rival, and to shut a Turkish military base on its territory, among other demands. Qatar has been the main backer of the Muslim Brotherhood, an Islamist movement that led the “Arab Spring” protests across the region. The four Arab countries deem the Brotherhood to be a terrorist organisation, a charge the group denies. Netanyahu, who frequently warns about Shi’ite Iran’s threat to the region, has said Israel should cooperate more with Sunni Muslim neighbours such as Saudi Arabia against Tehran. Al-Jazeera has also faced government censure in Egypt. In 2014, the Arab state jailed three of the network’s staffers for seven years and closed its offices. Two staffers have been released but a third remains imprisoned.